Gabe Wilde has never been more ready for a change. 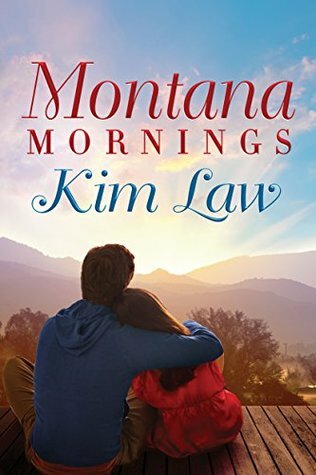 Thirty-three and in the midst of a divorce, he’s packed up his second-grade daughter and come home to Birch Bay, Montana. New house, new career, new life. Only, with changes come stress. His daughter is struggling with the transition to their new norm—and Gabe is out of ideas as to how to help. Erica Bird is mired in her own worries. After impulsively leaving the teaching job she loved, she may finally be free from her cheating ex, but separated from her family and everything she’s ever known, second guesses linger. Substitute teaching in Birch Bay is fine for the time being, but what will her future hold? When Gabe’s daughter winds up in Erica’s class, the two meet—or rather, reunite. Neither has forgotten their college romance or the tender feelings they once shared, but will their complicated pasts destroy their second chance? Or will old desire lead to a new love when each needs it most? This was a totally engulfing story right from the start. This was so much more than a romance. This was a family drama, and beyond. Don’t think you will find weepy family drama, not at all. What you will find are complex difficult situations that no one family ever wants to face. Yet, the Wilde family’s unfortunate encounters are more than their share yet, they still come out on the other side. Maybe with hurt feels for a while but always remembering they are still family and work it out eventually. Nowhere are they perfect and they are the first to tell you. Yet, Gabe, the oldest is a proud man who had suffered a lot of hurt at mental mind games his mother inflicted on him and his siblings. He allowed his insecurities and warped ideas of what love looked like to lead him to end a relationship in college that was really good and healthy for him with Erica Yarbrough to be with a girl he met on a vacation week in California visiting a friend. He married that mistake. Michelle, it turns out was only out to take care of herself and make herself happy. So, when their daughter, Jenna came along she was no longer the main attraction therefore no longer happy. Eventually, she told Gabe she wanted to move back to California or they were getting a divorce. They moved and within two years he was filing for divorce because she had taken off when she was supposed to be visiting her mom while Jenna and he were visiting his family. Instead, she sneaked out without so much as a goodbye. Once he filed he moved them both back home to Montana to the cherry orchard the family owns until he bought a home. She was acting out for sure. Ms. Bird was a caring teacher and pressed for answers as to what could be causing her issues and dad was not forthcoming. He didn’t like people knowing his business or butting in. Especially, her. He already knew he messed up by leaving her behind but for her to now be here and to see his daughter struggling and see what a failure he is as a parent was killing him. But Rachel is a talker and kept pressing. See how they all work together for Jenna’s benefit and at the same time heal their past and present. I give this: 5++++ stars.